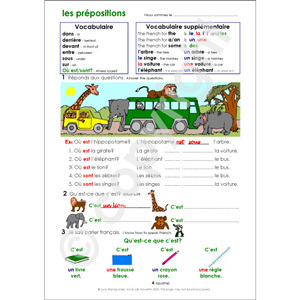 Suitable for use at home or in school, Skoldo is a popular introductory French course for young children. Skoldo Book Two is a colourful 60-page activity book suitable for children aged 8 - 11 years (Key Stage 2), with some experience of French already. Audio files that cover pronunciation of all of the words, conversations, songs and games can be downloaded online for free (details are included in the book). 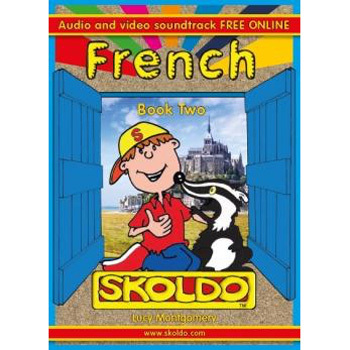 Skoldo Book Two is suitable for children who have had some experience of studying French already. It is intended to follow on from the other books in the Skoldo French series. Parents wishing to use this book with their child would benefit from having a little knowledge of French but this is not essential as words are introduced on the audio CD and most of the simple written instructions are translated into English when used for the first time. I bought this for my Grandson who likes French but needs encouragement because he sometimes falls behind in class. He finds the bold, colorful format and the multiple examples just what he needs. The CD works well with the text and is beautifully clear. Once again, congratulations on your reasonable prices!